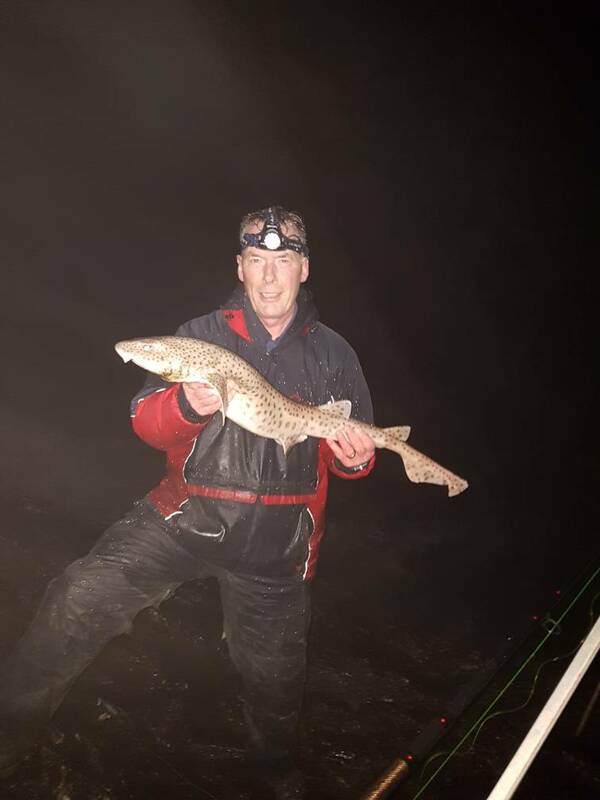 Another very popular venue which can give a good variety of species on the right day.Every year will see good sized bass,conger,cod and rays landed,plus a host of other fish such as mullet,dogs,dabs,mackeral,pollack,whiting. Experiment during your session,as there`s different types of ground to cover....to the left towards the Great Orme is rocky and it`s worth putting out a big crab bait for bass,or fish baits for conger/huss.Good fish will also be taken around the pier legs....most anglers will head for the end and though they catch plenty,it`s often very crowded especially during summer.Casting to the right (before the end) will put you on mussel beds which will attract winter whiting/codling and plenty of other species during summer. Getting There.....Off the A55 simply follow directions for Llandudno....once in the town you`ll pick up signs for the promenade.Alternatively,you can come off at Colwyn Bay and follow the coast road to the pier. There is plenty of free parking available near the pier,but in summer the spaces will be taken quickly,so get there handy.